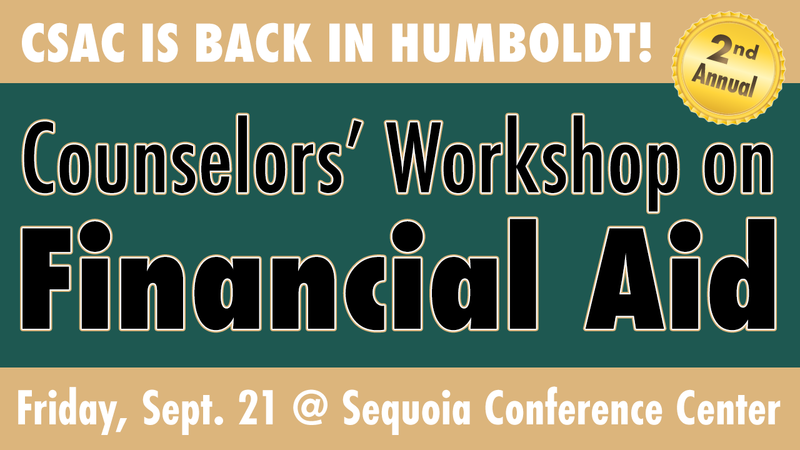 Presenters: California Student Aid Commission (CSAC), Humboldt State University Financial Aid Dept. *You may attend the optional session regardless of whether you attended the morning session. If you wish to attend this session, please email apalchick@hcoe.org.